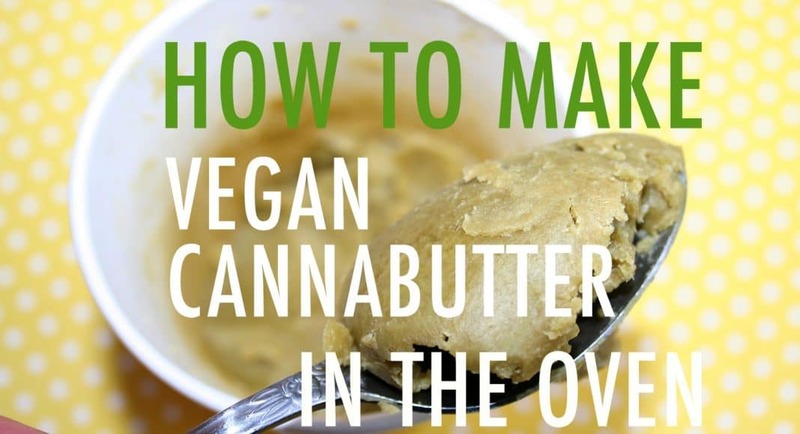 If you love the idea of homemade cannabutter but avoid dairy for ethical or dietary reasons, then this recipe is for you. Coconut oil is employed instead of butter, yielding a longer-lasting (coconut oil doesn’t go rancid as quickly as actual butter), potent pot butter which is perfect for making marijuana edibles such as cannaballs. Personally, I love slow-cooking cannabutter in the oven. For one thing, I don’t have to worry about scorching pans on the stovetop when I inevitably forget to monitor the mixture. For another, I love the aroma that the cannabutter casts in my kitchen: while I’ve never been to a Phish concert, I imagine this is what it smells like. 1. 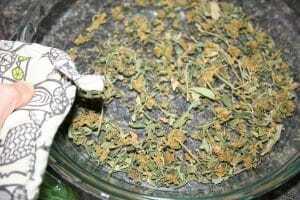 Toast your marijuana; the fancy term for this process is decarboxylation. Scatter the marijuana on your pie plate; toast at 240 degrees F for 30-40 minutes, turning a few times throughout the baking. Remove from the oven, and let cool completely. Keep the oven on. 2. 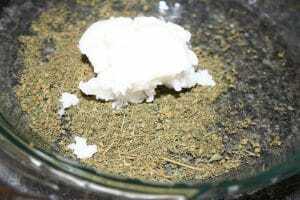 Finely grind the cannabis; you can do this with a spice grinder, mortar and pestle, or just carefully crumbling it with your fingers. Technically you can do this before or after toasting it, but I find the drier texture post-toasting makes it easier to do it then. 3. 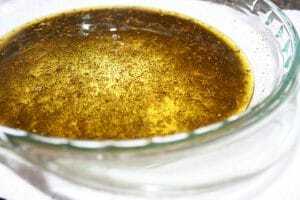 Place the marijuana back in the pie plate and either pour or spoon the coconut oil on top. Personally, my coconut oil was solid because it was a cold day, so I just spooned it on top of the marijuana. Once it goes in the oven it melts pretty rapidly. 4. Place the pie plate in the still-warm oven, and let it cook for about 3 hours, opening the oven and shifting things around every half hour or so. 5. 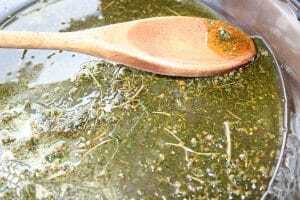 At the end of 3 hours, you’ll notice that the oil itself has taken on a distinctly green-yellow tinge. That’s a good sign! Remove from the oven. 6. 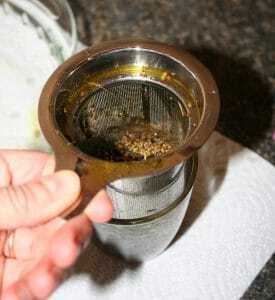 Set up either cheesecloth or a fine mesh strainer (I actually used a tea strainer!) perched above a heatproof container. Strain the vegan cannabutter over the container, making sure to get every last drop from the pan. If using a cheesecloth, squeeze to strain out any last bits of liquid; if using a strainer, press down with a spatula or wooden spoon. 7. Transfer the liquid to a jar or airtight container. 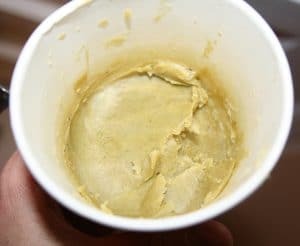 This vegan cannabutter can be stored in the refrigerator or at room temperature; it will become solid at cool room temperature or if chilled. It will keep for several weeks. You don’t have to use coconut oil for this recipe. You can substitute any vegan cooking oil, such as olive oil or avocado oil. You could also use a vegan butter substitute, such as Earth Balance. Of course, if you’re not vegan, you can use regular butter or even lard here, too. Wait A Minute: Did The FDA Just Approve Marijuana’s THC?